Important Local News that effects you as a consumer and homeowner!! Click here for helpful tips and information on hiring licensed contractors for work at your home. 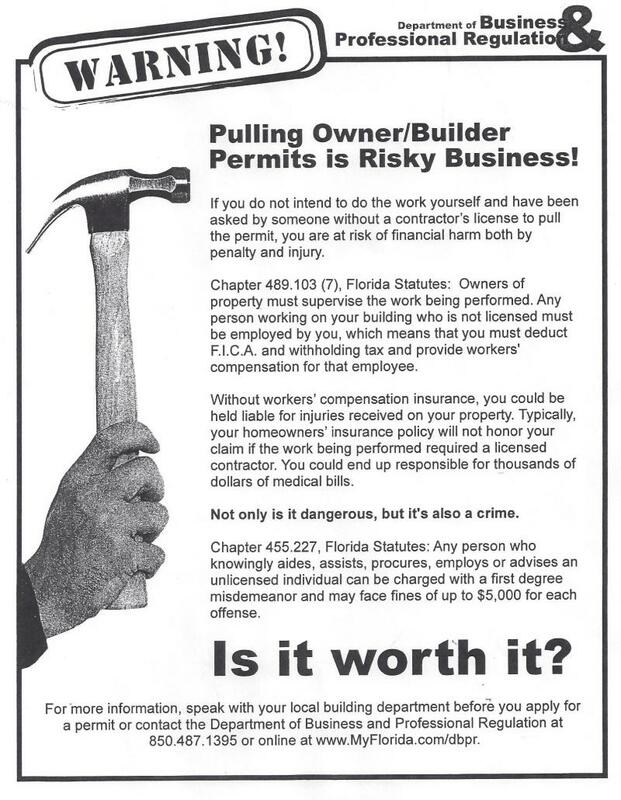 This flyer is provided by the Florida Department of Business & Professional Regulation. Beware of giving deposits before work has commenced!! Copyright 2011 Palm Bay Aluminum Corp.. All rights reserved.